Red - "Caution Do Not Enter"
Red - "Danger Keep Out"
Red - "Authorised Access Only"
Yellow - "Caution Do Not Enter"
Yellow - "Authorised Access Only"
Yellow - "Out of Service"
Yellow - "ESD Protected Area"
Yellow - "Danger Fork Lift Trucks"
What is the purpose of an expanding belt barrier? This item has many uses, but its main purpose is to help you control the flow of human traffic in a specified area. It can be used to keep people out of dangerous areas, such as spaces that hold dangerous chemicals, or it can be used at events like festivals. You can choose to have a variety of different messages added to your item, depending on where you intend to use it. This product is can be used anywhere. It is great for marking off dangerous areas such as spaces that contain dangerous chemicals, but it can also be used at concerts, festivals and other events. 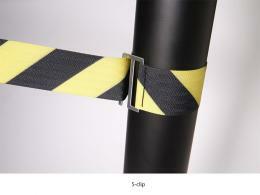 This product is ideal for any place where the flow of pedestrian traffic needs to be controlled. This product is great for anyone who needs an easy way to control the flow of pedestrian traffic into or out of a space. 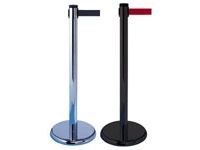 Whether you are hosting an event and need to let people inside of an area in a specified order, or you need to protect people from a dangerous area, this product could be just what you need. 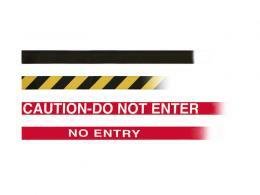 Once you try a top-quality expanding belt-ba barrier from The Workplace Depot, you will never want to go back to your old option. These items are carefully crafted from high-quality materials and are built to last. They are also easy to install and use, saving you time and frustration. 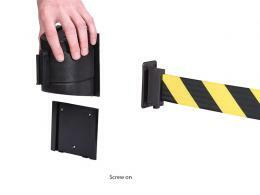 These items are ideal for controlling any sort of pedestrian traffic in almost any area. 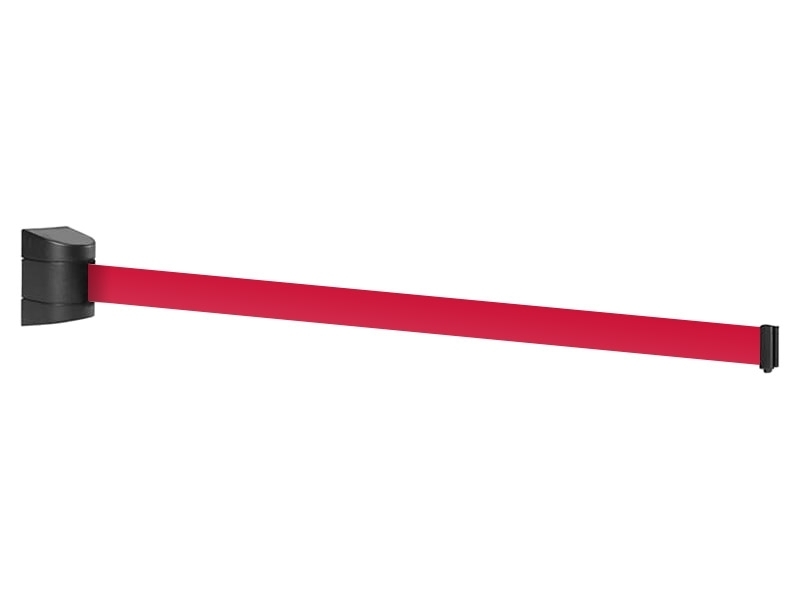 They can be screwed to the wall or magnetically mounted, depending on where you want to use them. 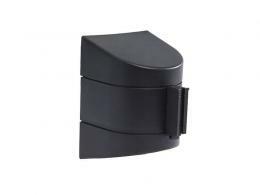 This item has a belt lock to help prevent accidental release, keeping you sign secure. 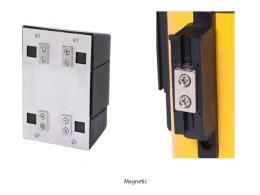 You can choose between a screw-to-the-wall or a magnetic option for the belt receiver. The belts are simple and classic looking, and you can have a message or chevrons printed on both sides. The width of the belt is 50 mm, and the length of it is 7.6m. If you desire a bespoke design, get in touch with one of our friendly associates. If you have any other questions about any of our products, you can also contact us. We are committed to providing excellent customer service and are always happy to help.